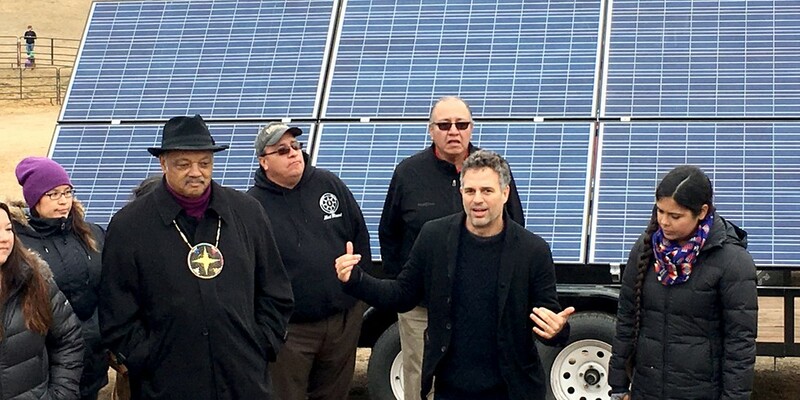 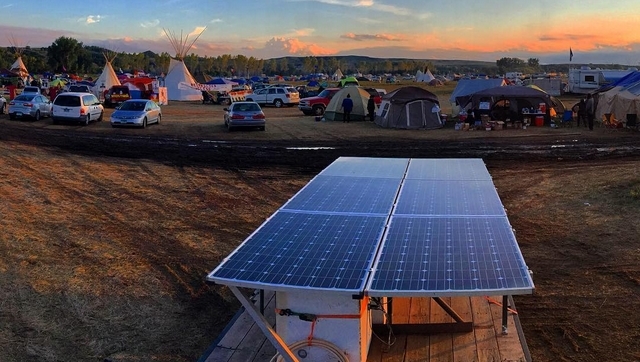 Actor Mark Ruffalo and Native Renewables founder Wahleah Johns presented Standing Rock Sioux tribal elders with mobile solar panels on trailers. 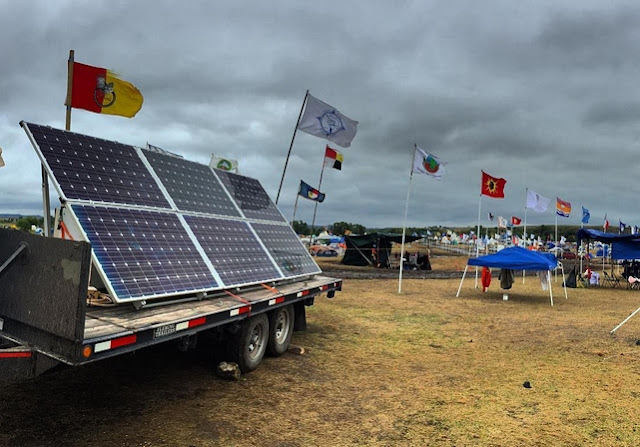 Panels are bringing clean power to the encampment where the largest gathering of Native Americans in modern history is taking a stand against the Dakota Access Pipeline. 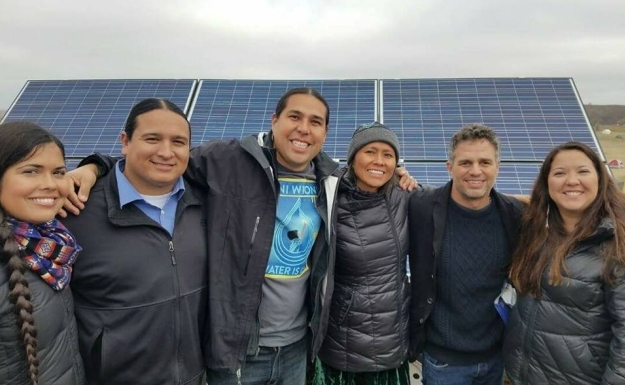 Native Renewables wins a Leonardo DiCaprio Foundation (LDF) environmental grant. Responses to "Mark Ruffalo Delivers Solar Panels to Camp Where Thousands Are Protecting Water"